If you notice fine scratches or marks in your car’s paintwork in a swirling pattern when the sun shines on it, don’t despair. 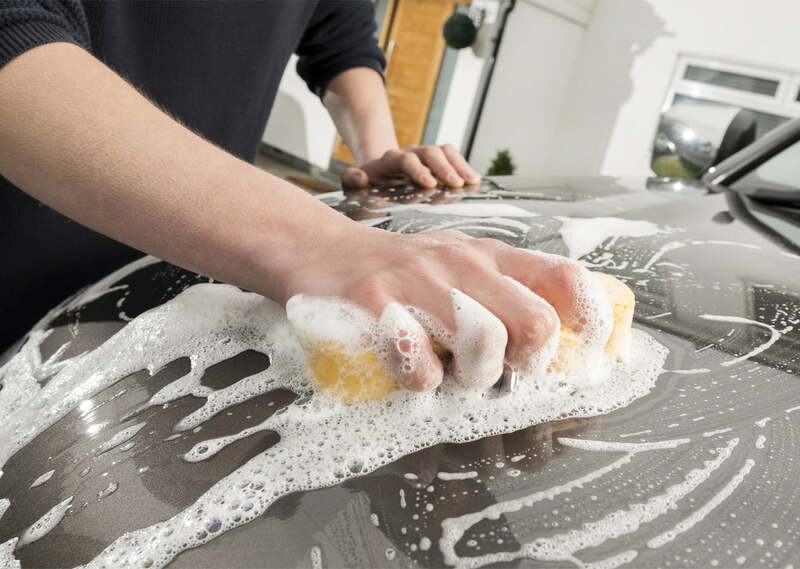 These marks are a sign of minor damage, often caused by weathering effects, car wash machines or using the wrong type of sponge or cloth during manual washing. They can be easily removed by hand using the right products and some care and attention. Firstly, before you wash your car thoroughly, rinse off loose dirt. Failing to remove loose dirt can lead to more minor scratches, caused by moving the microscopic particles over the surface of the glass and paintwork. (We recommend using Simoniz Shampoo, obviously). Make sure that any cloths or sponges you use on your car are gentle and non-abrasive. Specialist microfibre cloths, wash mitts and chamois are the best for your paintwork. Be really vigilant about rinsing the sponge or wash cloth – have a bucket of clean water for rinsing as well as one mixed with shampoo. Next, take Simoniz Colour Restorer and a Microfibre cloth. Apply the polish to the cloth and work evenly into the paintwork using a circular motion. The polish will dry to a haze and become opaque. Use a different, clean cloth like a Superfine Polishing Cloth, to buff off the polish, again using a circular motion. Turn and swap the cloth frequently so that you’re always using a clean section, otherwise you’ll just be moving the polish around rather than buffing it off. It’s best to work on a small area at a time. Once you’ve polished all the areas you need to and you’re happy that you’ve removed all the polish, you can wax your car. This will protect the paintwork against future damage and give you a beautiful shiny finish. 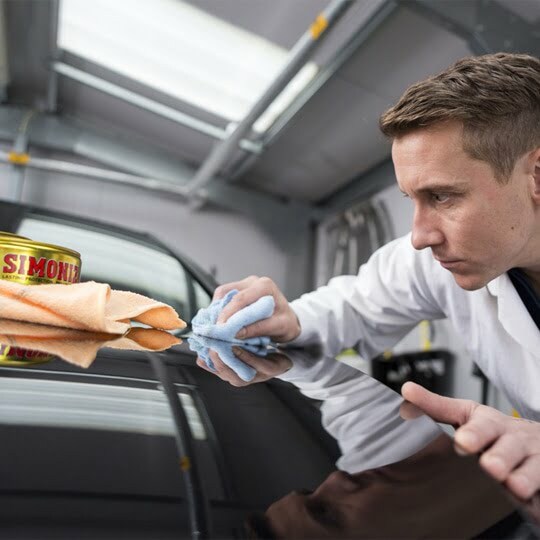 Simoniz Original Wax can last for up to 12 months. It takes time to apply as you need to apply in small amounts and buff. If you need a faster option Carnauba Liquid Wax can be applied quickly. Find out more about Simoniz Original Wax.